@azaremoth: so far there are about 10 MB of CursedBot_1 logs (battleroom and PM chat, match infologs, startscripts and unitsync logs,...), if you wish to have them. Yes please - these will help bug hunting and balancing. There's a major issue with the current cursed version on that host. People can't choose their starting position! 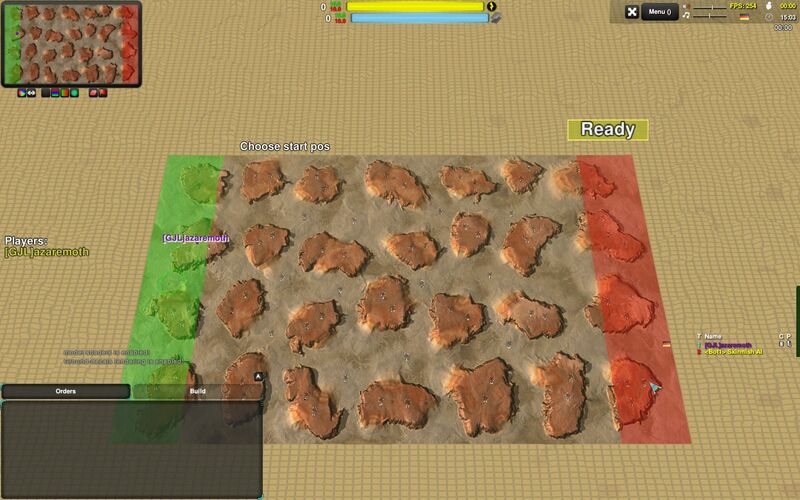 readying up and "forcestart" still allow people to play, but they can end up poorly positioned depending on the map. That sounds like missing default startboxes. Actually, I was hoping to prevent this issue by the implementation of game-side startboxes with version 1.437 in case nothing is defined by the host. I am currently away from home until end of this week and will have a look in the game-side then. @ThinkSome: can we "reset" the autohost and have standard east vs. west startboxes (that may be adapted by players in the Lobby in case they do not fit)? It also looks like were no uploads of replays for several months. The only reset possible is deleting the saved boxes file => no boxes on any map. Option 2 sounds more reasonable to me. 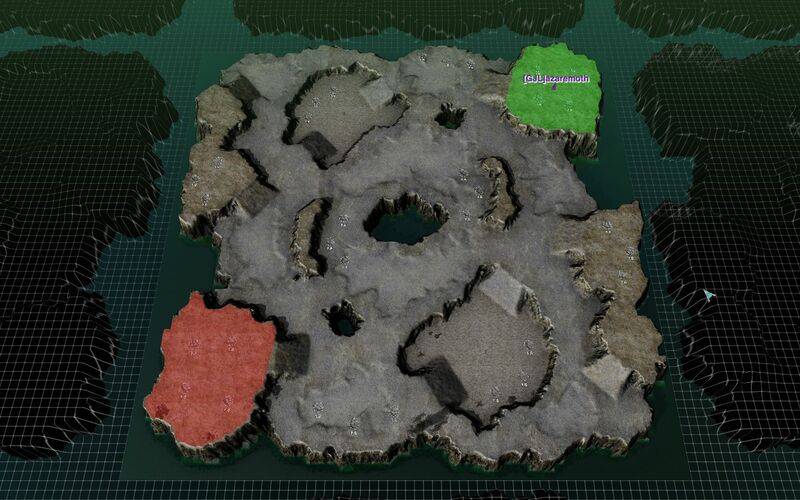 Going through all the maps to (re-)define the startboxes is nothing I am very keen on. ah, but the cursed uses a different set of maps (maplist), so option 2 will not work for those and someone would still have to go through and do it on the 10 remaining maps. Well, that would be me then. How is the format for the box coordinates? Same as If entered in the lobby? Btw. can we please define Spring 104 as standard? And there is an issue with the replay upload: "[15:03:20] * CursedBot_1 * Failed to upload demo file!" Any idea how this is caused? Are the links to the .py scripts still up-to-date? Thx for the support in advance! @raaar: Have you used the version 1.437? For me the game side definitions for start boxes did show up ingame as expected after by-passing the error messages. I did implement this (function from ZeroK) as it will fix starting from spring.exe or Chobby. Please let me know if the problem is still is present with 1.437 even if no start boxes are defined by the lobby. The issue continues to happen. Same host, same map (ravaged), "!split v 20" to set start zones (game wouldn't start otherwise). But then when the game starts those SW/NE non-rectagular boxes appear instead and if I click them nothing happens (instead of setting the start pos). Spring 104 as standard is possible, but will take some time for me to clear 1GB disk space or patch it around for it to start. Uploading does not work because the uploader account has been deleted again. I'll try getting some ingame time on it to fix it for a few years. The new uploader account has 2h of spectator time, hopefully this will work. I think patching 104 will be easier than clearing 1GB. It is a cleanup process to get rid of unused account. Criteria is something like "created a year ago and never played a game". Unfortunately that matches also autohost bots, as they only spectate. Why ist the clean-up needed anyway? How did the other games do it? All other games use <104 and I don't have a gigabyte free on the server. As far as the account cleanup is concerned, it is a direct result of bad retention. And that is a direct result of clearing old accounts instead of having their emails and mailing them reminders when they had not showed up for a while. CursedBot_1 is now using Spring 104.0.